Wow what a great day today in the canyon. 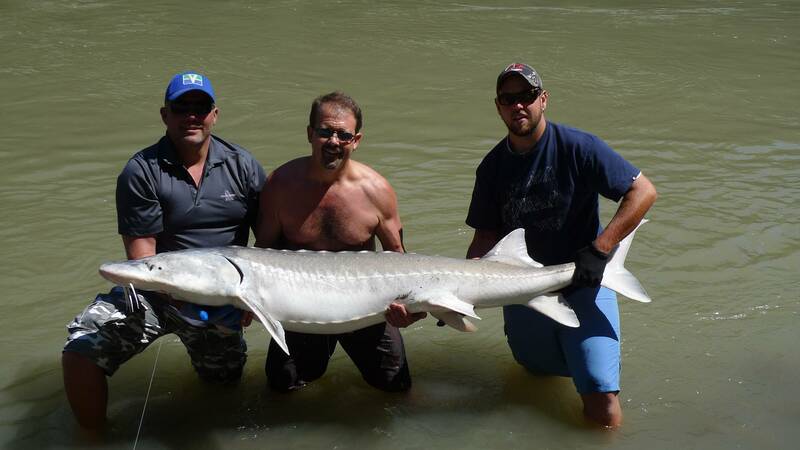 We not only had a blast running the rapids but caught some very nice sturgeon. We are now in full swing so don’t wait to book your next canyon adventure. 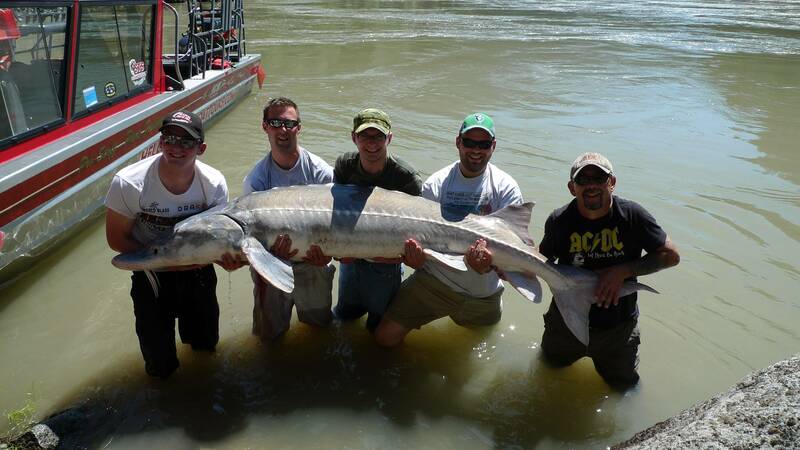 Never under estimate a sturgeon ability to tear your arms off. Digging in is sometimes required if you want to land one of these prehistoric fish. Here is a beautiful 7 ft 7 inch fish from today. 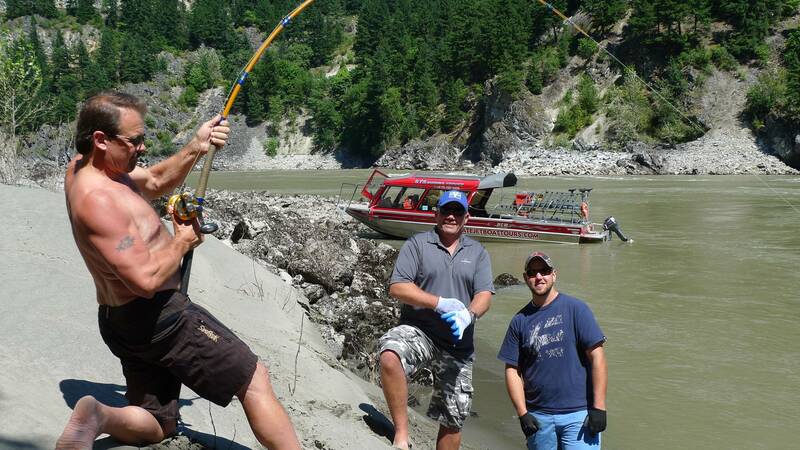 You are currently reading Canyon Report for August 1 at Hells Gate Jet Boat Tours Blog.